Each day begins with Bible class (or chapel). Basic Bible stories and truths are taught and applied to the students’ daily lives. 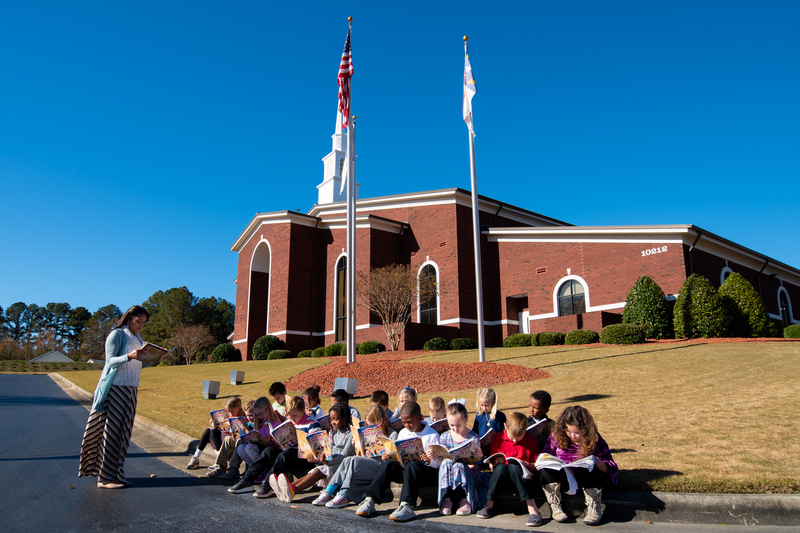 Lower elementary students are not administered Bible tests, but they are required to memorize Bible verses. Our elementary curriculum focuses on mathematics and language arts (i.e., grammar, reading, spelling, and writing). Reading is taught through phonics, and then an emphasis on comprehension follows. Mathematics begins with drilling and mastering the facts. After facts have been mastered, the students can begin to learn concepts on higher learning levels. History, geography, science, and health are also important subjects that we teach. The students not only learn the facts about these courses, but they also learn them with a biblical worldview. Science class is predicated upon a belief in creationism, and history is based on a rejection of revisionist history. No attempts are made to hide the faith of our Founding Fathers, or the belief in a Creator by the founders of modern science. The facts of history and science are taught with integrity and accuracy. Achievement testing is administered each year, but its primary purpose is evaluative. We use individual results to track the progress of each student, and overall results are analyzed to evaluate the effectiveness of our instruction. Music Class: The students develop an appreciation for music and singing. Various musical skills are learned, and the students practice for concert performances and Elementary Fine Arts. PE Class (4th-6th): The students have organized PE 1 or 2 days a week. On the other days, they will have recess. Art Class: The students develop an understanding of the elements and principles of art as well as utilize various artistic mediums. Students are introduced to diverse cultures and famous artists throughout the world. Students work to create authentic artistic pieces for Elementary Fine Arts. Library Class: The students have a weekly Library Time in which they are permitted to check out books that interest them. The library can also be utilized for finding book report books and research paper resources. Chapel: Elementary chapel meets every Tuesday in the auditorium. We have in-house and guest speakers. School Hours: 8:00 A.M. until 2:50 P.M.
Aftercare: Charges apply beginning at 3:30. Aftercare is available until 6:00. Field Day (4th-6th): Students compete against other schools in track and field events. Field Trips: Students take a minimum of one field trip per semester; they are both fun and educational. 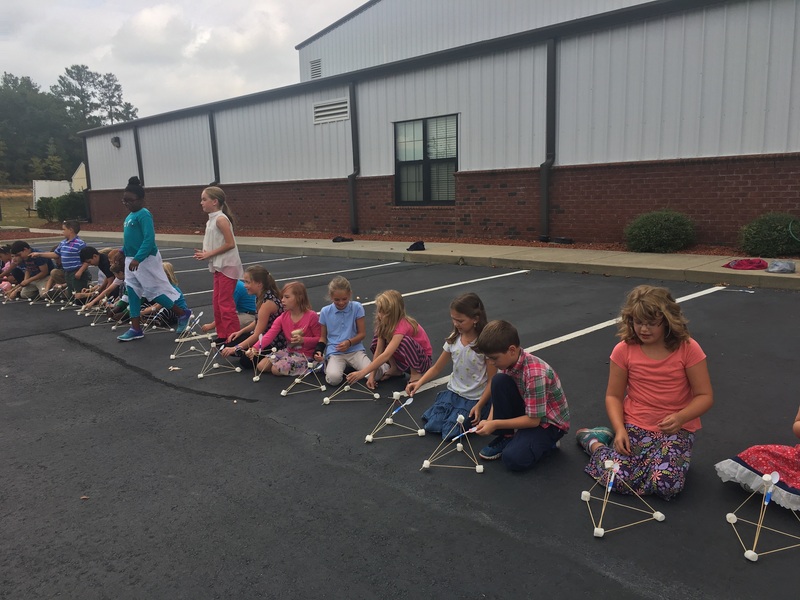 Fine Arts (3rd-6th): Students participate in the statewide NCCSA competition in the various art, music, and academic disciplines. Service Projects: The elementary students join with high school students to serve those in need within our community through Operation Thanksgiving. Throughout the year, individual classes learn to serve others by activities such as visiting the local rest homes, showing appreciation to our first responders, and participation in missionary projects.